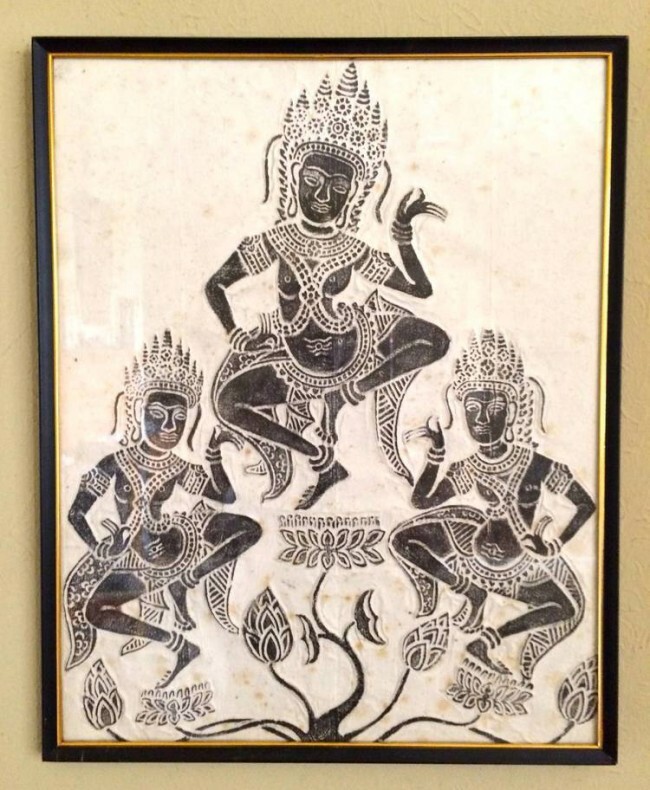 A Thai buddhist figure printed on rice paper is what I came across in a thrift store the other day. 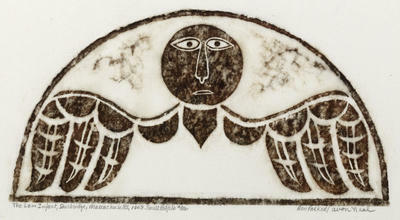 The figure was stone rubbed; a printing technique that makes it appear in a warm black with quite a lot of shades of grey. 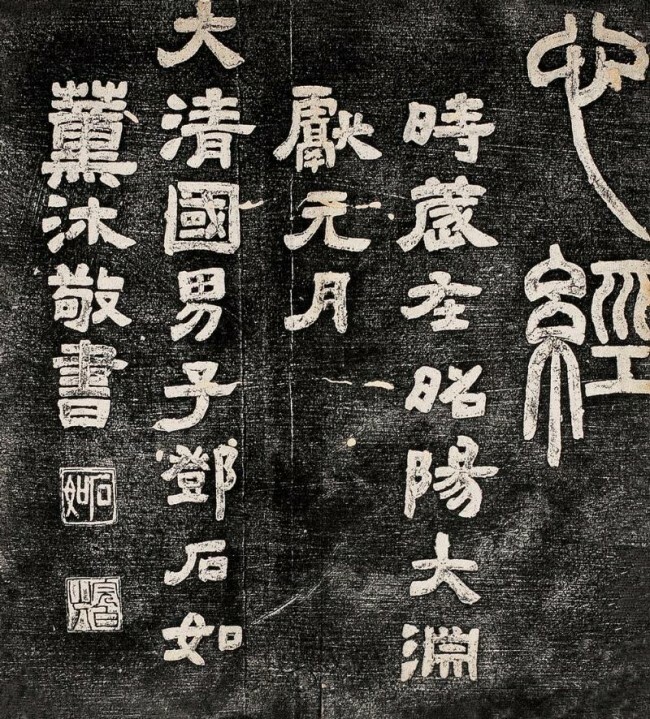 Invented in China before the use of the letter press, people there used stone rubbing to pass on information like historical events or sacred texts that were then carved into stone and couldn’t travel easily. 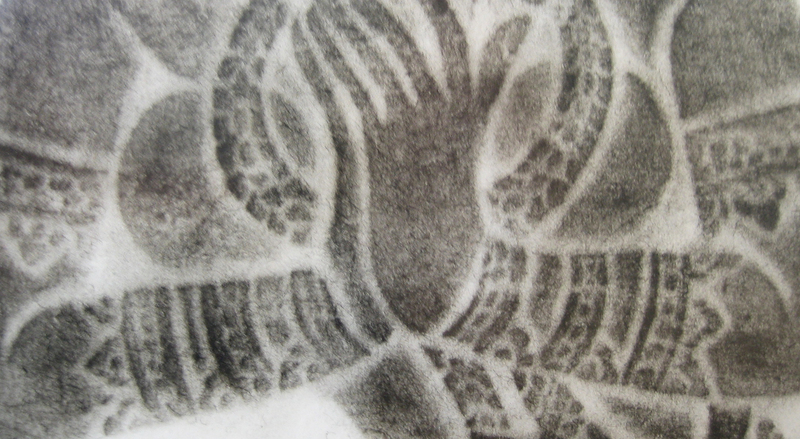 Moistened paper was pressed on and into the carves on the stones. 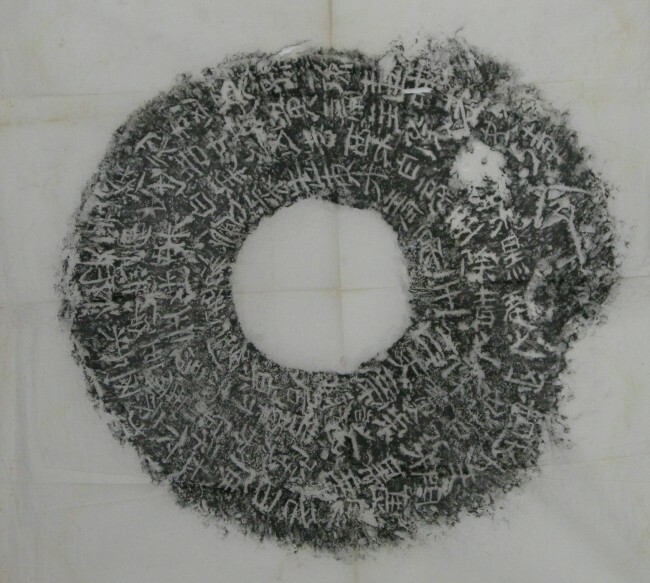 When the paper had dried it was tapped with an ink pad so that the stone-carved signs appeared in white on the paper. The so printed signs could then easily be transported to other regions. 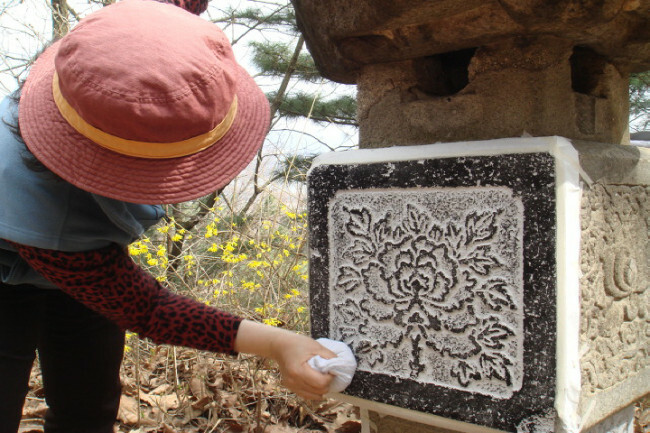 Apart from keeping a tradition and a ‘traditional technique’ alive and preserving information because the stones start to erode in China but also Korea or Japan, today, stone rubbing seems to be mainly used either for commercial means (rubbing stone temple walls to sell the images to tourists in Thailand and Cambodia) or to (re)construct genealogies. 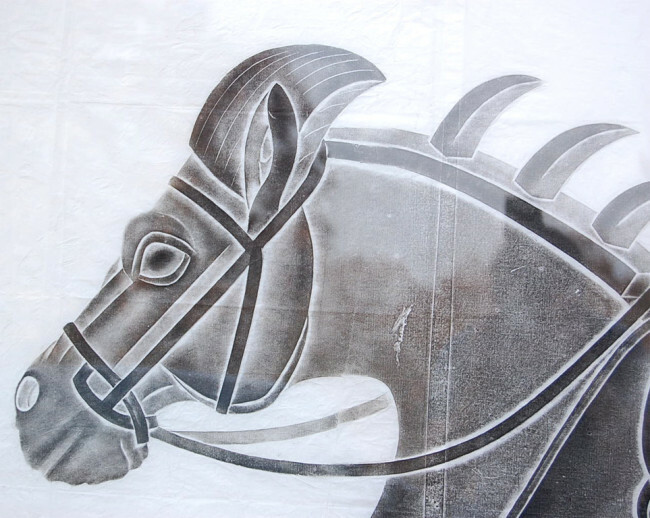 ‘Tombstone rubbing’ or ‘grave stone rubbing’ is thus the term that is most used in the States when it comes to stone rubbing.